SAI caught up with Ambassador Lisa, who looks back at her spring in the Eternal City. 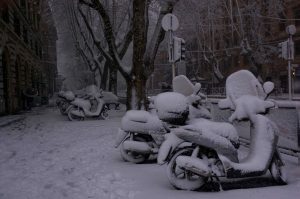 It snowed for the first time in six years in Rome, so my friends and I spent hours walking around enjoying the locals’ reactions to the strange weather. Seeing the Trevi Fountain covered in snow was a rare sight. There was about a hundred people in front of the Colosseum engaged in a massive, almost gladiatorial snowball fight. My hometown is very spread out, and the only option for getting around is driving. 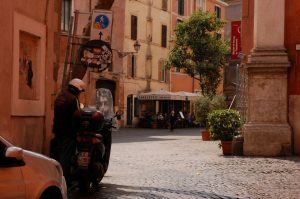 So I took advantage of Rome’s walkability and spent hours getting lost in its narrow streets. I never got tired of casually walking past the Saint Peter’s Square colonnade or the colossal facade of the Pantheon. 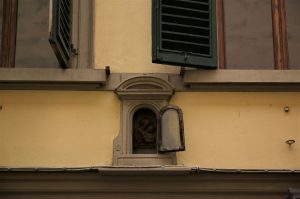 I never felt more connected to the city than when I walked the streets alone with my camera and captured the small details- potted plants sitting in windows, icons of the Madonna that adorn certain streets, or brightly colored cars against graffitied walls. My time abroad wouldn’t be the same without the friends I met through SAI! Take a language course while you’re there. That will allow you to practice what you learn in class on a daily basis. Use the language at every opportunity, even if it’s just saying “hello” or “thank you”. Attempt to read signs and learn what they mean from context clues. You’ll be surprised at how much you really know. Don’t hesitate to ask locals how things are said- most times they’ll be appreciative of your efforts to learn their language. 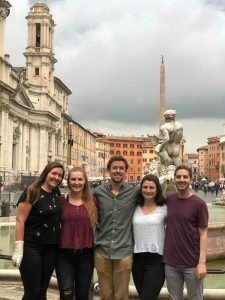 Lisa was an SAI Rome spring 2018 student from Lehigh University.